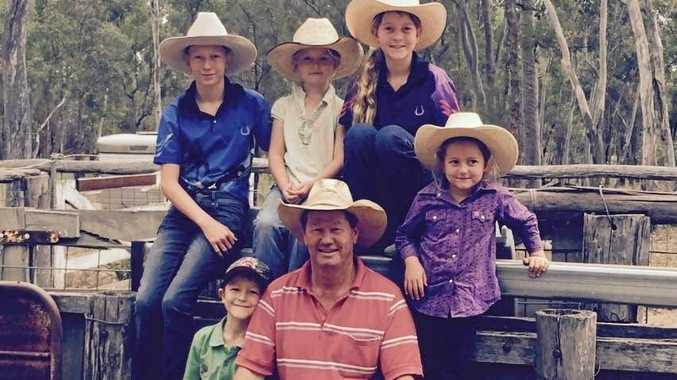 A FAMILY are lucky to be alive after a brick smashed through the windscreen of their four-wheel-drive, narrowly avoiding a child, in a shocking highway accident in the state's southwest. 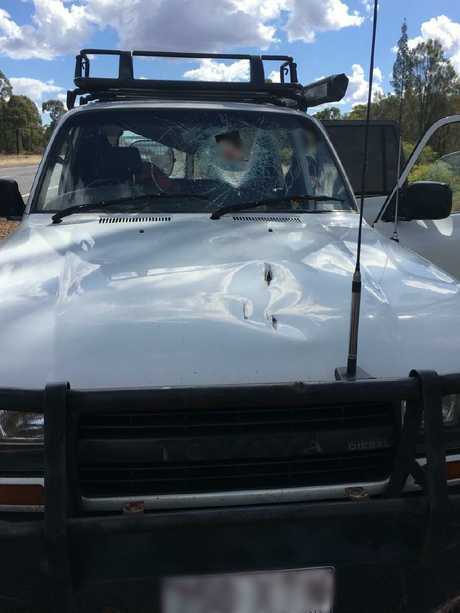 The trio were travelling along the Warrego Highway near Miles at around 1.30pm today when a brick came flying off the back of a passing truck. Police said the shocking accident could have easily ended in tragedy after the "missile" crashed through the vehicle, denting the trailer behind. 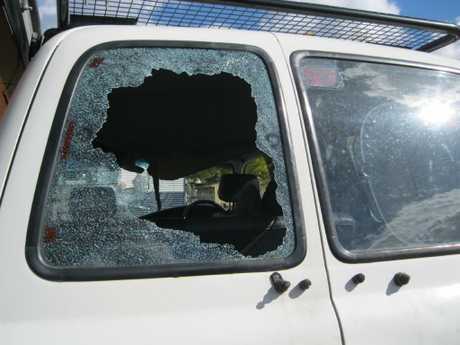 The brick struck with such force that it ripped a hole in the front bonnet and roof of the vehicle. 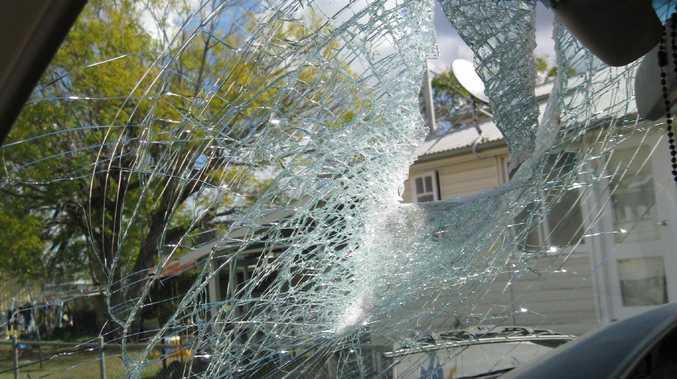 An eight-year-old boy had been sitting in the back seat, and miraculously escaped with only minor injuries. His mother, 42, was also taken to hospital for minor cuts from the broken glass, while dad, 48, was treated at the scene by paramedics. Detectives wish to speak with the driver of the vehicle which was travelling west on the highway at the time, and may not know about the accident. 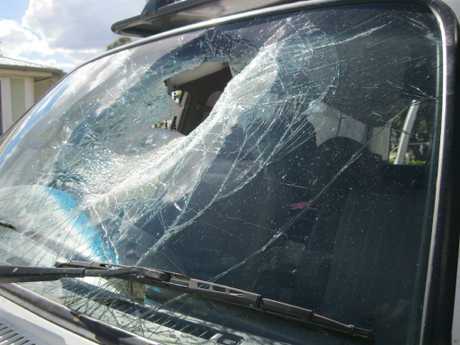 A spokeswoman also urged motorists to take extra care securing loads on trucks and trailers. … and exited the rear of the four-wheel-drive.